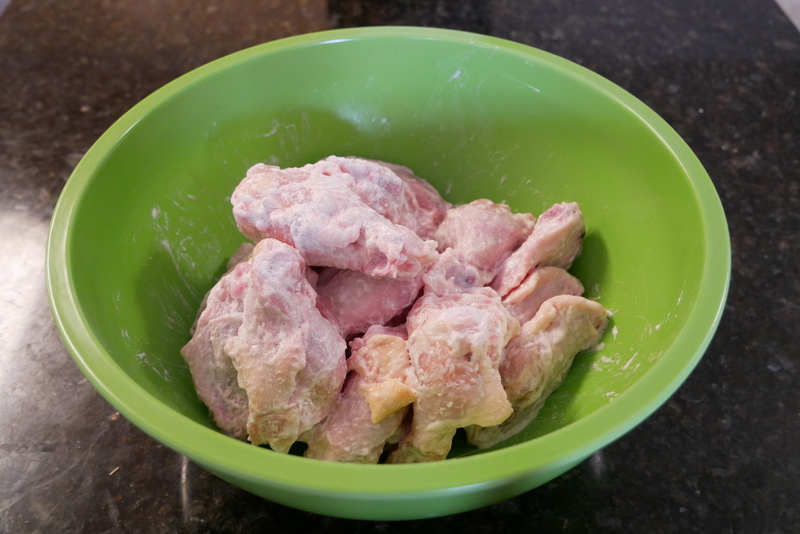 Add the wings, baking powder and salt to a large mixing bowl. 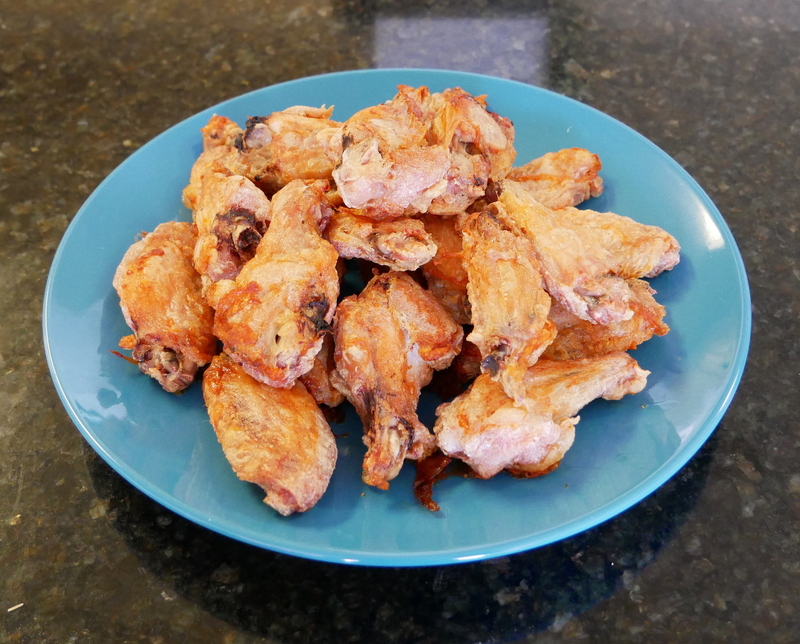 Use hands to toss wings until evenly coated. Lay down piece of parchment or wax paper on a baking sheet, coat with non-stick coconut or olive oil spray. Place wings on baking sheet and bake for 25 minutes. Raise the oven temperature to 425 degrees and cook for 20 minutes. 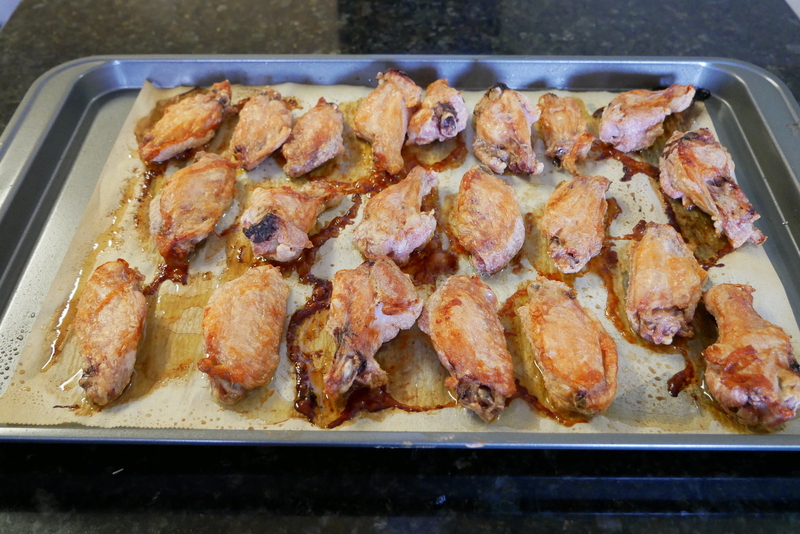 Remove from oven to flip over all the wings and then bake for another 25 minutes.